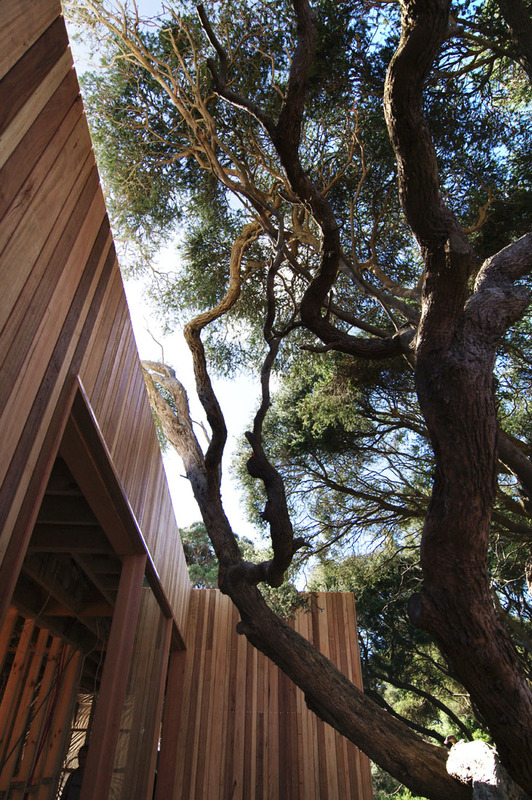 A new 4 bedroom house located on a heavily treed site overlooking the Barwon River. 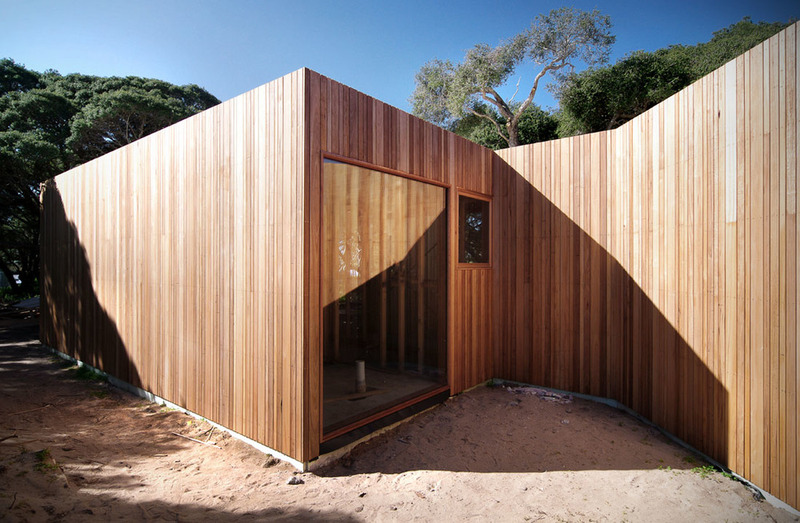 The design was imagined as a campsite, nestled in and around the existing Moonah trees. 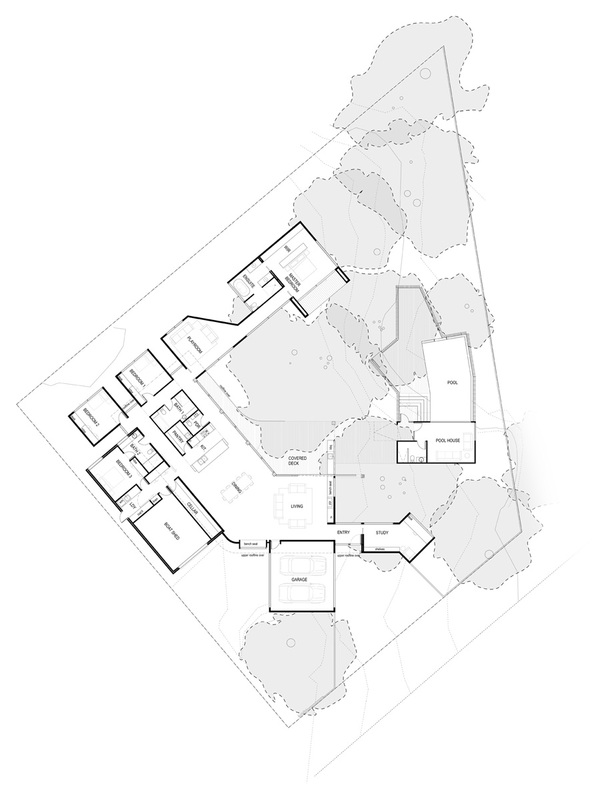 The design hugs the boundaries of the site, enclosing the existing trees in a central landscape. The programme is divided into modules which sit as individual pods on the site, enclosed by a lightweight structure that drapes over the top, forming the main living area. 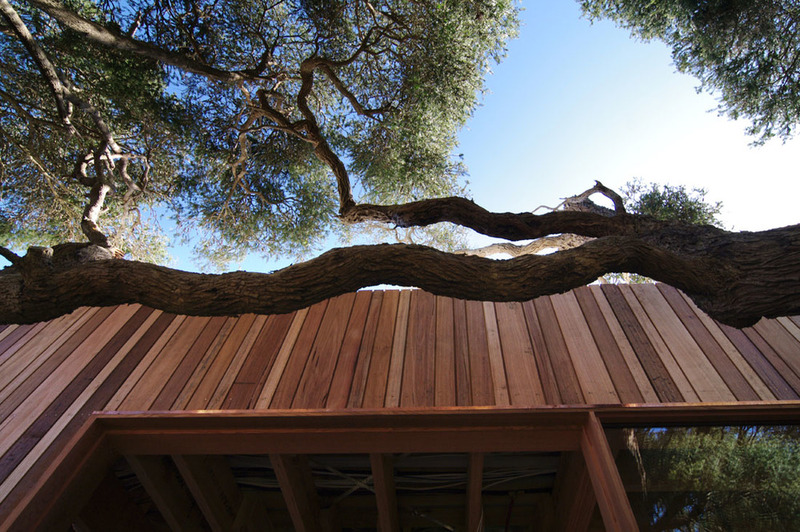 The undulating roof form evokes the Moonah canopy, allowing branches to extend underneath the roof of the outdoor living spaces and drawing the eye into the treetops.